Following the death of a friend, the poet and pets' mortician Dennis Barlow finds himself entering the artificial Hollywood paradise of the Whispering Glades Memorial Park. Within its golden gates, death, American-style, is wrapped up and sold like a package holiday-and Dennis gets drawn into a bizarre love triangle with Aimée Thanatogenos, a naïve Californian corpse beautician, and Mr. Joyboy, a master of the embalmer's art. 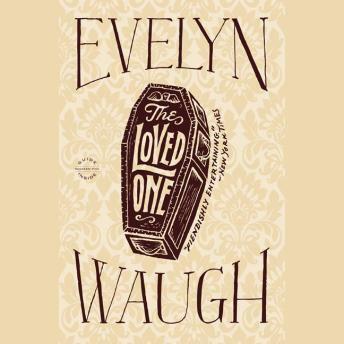 Waugh's dark and savage satire on the Anglo-American cultural divide depicts a world where reputation, love, and death cost a very great deal.